The youth of any nation or society is its potential energy. The youth is the powerhouse and storehouse of infinite energy. They are the ones who are the pride of the nation. Youths should showcase the change in themselves; only then it is possible to bring about any changes - says Dr. G Venkatesh, Founder & CEO at Bangalore Robotics Pvt. Ltd.
Dr. G Venkatesh is also known as ‘Docel’. Being extremely innovative and curious about electronic gadgets, Docel started his journey with Electronics and Robotics by spoiling all the electronic gadgets and toys, especially, radio and telephone at a very young age. His curiosity level made his parents stop buying new toys. But, the hunger of learning didn't vanish. Hence he started meddling around with neighbours’ toys and the broken junk toys. This attitude of exploring new things made him more curious about Science and Technology. Docel says, "No one inspired me to enter this field. Robotics just happened! I wanted to be a doctor. In fact, I never knew whether whatever I was doing was robotics till the age of 15. I got to know when I took part in a workshop organized by the Youth Club." Yes, Docel really wanted to be a doctor, but was very much interested in Robotics also. He did his Bachelor of Engineering in Electronics and Communication Engineering Department from University Visvesvaraya College of Engineering (UVCE). He didn’t give up his dream of becoming a doctor. So, later on, he did his MBBS from Bangalore Medical College and that too with a scholarship. 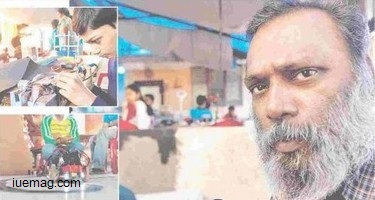 Docel used to design his own gadgets using junks collected from a place behind Palace Theater of Shivajinagar. His first project was a Notebook radio designed without even soldering a single component. This product grabbed a lot of attention from his friends, neighbours and their networks which created huge demand. The first piece got sold for Rs.33.27 and 2 notebooks. This also attracted the investors to invest money for the product, and thus the Docel Radio Research Center was born. Docel says, "This is how I turned to be an entrepreneur at a very young age." The Docel Radio Research Center is now called as ‘Bangalore Robotics Pvt. Ltd.’ educating thousands of students with a Practical and Design oriented approach, without creating dependency. Bangalore Robotics is now an exclusive group that encourages Robotics enthusiasts to build an Artificial intelligent world. 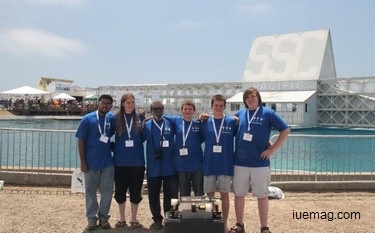 The Bangalore Robotics Team has represented India in many international Robotics Championships like AUVSI, RoboSub and MATEROVER successfully. Due to his hard work, efficiency and dedication towards his goals, Bangalore Robotics stands as the number one Robotics Training Institutes in entire South India. Docel is the name given by his students, friends and neighbours for his excellent contribution towards the Robotics field. The meaning of Docel is ‘Doctor of Electronics’. "Many of the students, especially, students who have just completed 12th or 2nd PUC, will surely be in a dilemma whether to choose the field of their choice or their parents’ choice. Keep in your mind to never ever choose the field which you don't like. Have a goal in your life and be passionate towards achieving it to give more meaning for it." - Dr. G Venkatesh.